Sony today announced the Xperia XZ3, the company’s latest flagship phone. The device improves upon its predecessor, the XZ2, by amping up just about everything. The XZ3 has a metal-and-glass design with series 7000 aluminum forming the frame and Gorilla Glass 5 covering the rear. The 6-inch OLED screen has quad HD+ resolution with an aspect ratio of 18:9. 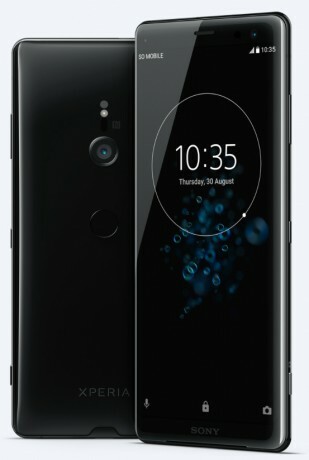 Like many Sony flagships, the XZ3 is certified IP68 for protection from water and dust, and it features a fingerprint reader on the rear for security. Sony has updated its Motion Eye camera for the phone, with a 19-megapixel main camera with HDR, 4K video capture, super slow motion, and Google Lens. Sony says the camera software has been tweaked for easier use. The selfie camera has a 13-megapixel sensor at f/1.9 with bokeh / portrait capture and beauty mode. Picking up the phone and holding it horizontally will automatically turn on the camera. Sony increased the size of its S-Force Front Surround speakers to improve bass response. The phone supports high-resolution audio and includes Sony’s dynamic vibration system for refined haptic feedback. It is powered by a Snapdragon 845 and includes a fast-charging 3,330mAh battery. A tap of the right edge calls up a drawer with app shortcuts, similar to Samsung’s Edge screen. The Xperia XZ3 will ship with Android 9 Pie. It costs $900 and will be available from Amazon and Best Buy in October. Sony’s latest flagship smartphone packs tons of features into its metal-and-glass body. It offers a 6-inch screen, Snapdragon 845 processor, 19-megapixel camera, and advanced audio capabilities. Sony today made it clear which phones will receive Android 9 Pie and when they'll receive it. The update has already reached the Xperia XZ2 and XZ2 Compact, and Pie ships on the new XZ3. Netflix has added more smartphones to the list of those capable of supporting HDR10 playback. The newest phones include the LG G7, and the Sony Xperia XZ2 Premium and Xperia XZ3. Why doesn't Sony name their devices something different than "Xperia" and "Z" and "X" and then throw numbers behind it. I honestly avoid Sony all together, while nice phones, simply because the naming of them is so confusing with Xperia Z or ZX or Experia ZX2 or ZX3 - all of them get so lost that I can't help but think its all the same phone, just a naming scheme set up to sucker you into paying for what you think is the top of line device, only to find out you're getting the mid or low end.